LONDON: Khalid Masood, the man behind the terrorist attack on the UK Parliament, was investigated as a potential extremist by Britain's intelligence services as early as 2010. Masood, who rammed a high-speed car into pedestrians on Westminster Bridge before storming a gate outside Parliament armed with two knives killing four people and injuring 50 others, first came to the attention of MI5 six years ago after returning to the UK from Saudi Arabia where he had been teaching English, the Guardian reported. However, the 52-year-old Muslim convert, born Adrian Russell Ajao in Kent region of England, dropped off the radar of intelligence officials some time before the terror attack in London last Wednesday. The details connect with British Prime Minister Theresa May's statement in the House of Commons last week. "What I can confirm is that the man was British born and that – some years ago – he was once investigated in relation to concerns about violent extremism. He was a peripheral figure. The case is historic – he was not part of the current intelligence picture. There was no prior intelligence of his intent – or of the plot," she had said. The details have emerged as Scotland Yard confirmed lst night that a 30-year-old man is the latest arrest made during a string of raids in Birmingham. "A new arrest has been made as part of the investigation being carried out by the Met's counter-terrorism command into the Westminster attack," a Metropolitan Police statement said. The man, who was detained on suspicion of preparation of terrorist acts, brings the total number of arrests to 12. The Met also confirmed that a 58-year-old man detained under terrorism legislation had his custody extended. Nine others have been released without charge, while a woman from Manchester was released on police bail. 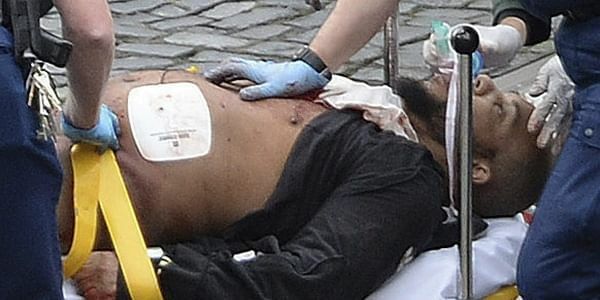 The Metropolitan Police have said they believe Masood acted alone but they were also "determined" to find out whether he had been inspired by terrorist propaganda. However, they have admitted that it is possible they would "never understand why he did this". The family members of the US tourist, 54-year-old Kurt Cochran, killed on Westminster Bridge after being hit by Masood's car, have spoken of their "humbling and difficult experience". Kurt Cochran, 54, from Utah, was one of three pedestrians who died after being hit by a car driven by Masood on Westminster Bridge. He was with his wife Melissa at the time, who suffered serious injuries. Clint Payne, Cochran's brother-in-law, said in London today: "This has been a humbling and difficult experience but we have felt the love of so many people during these past several days. "It's been a tender experience for our family to be together with Melissa here. Her health is steadily improving and she has been strengthened by the presence of her family. She is so grateful for the outpouring of love and generosity." Speaking during a press conference at New Scotland Yard, a few hundred yards from where their daughter was hurt, Melissa's parents, Dimmon and Sandra Payne, said they would travel back to the US with her once she recovers. Masood, who also fatally stabbed Met Police officer Keith Palmer outside Parliament, was shot dead by police. The others who died were Aysha Frade, who worked at a college near Westminster Bridge, and 75-year-old retired window cleaner Leslie Rhodes.